It’s easy to take pot-shots at big wineries, sniping away at the tall poppies whenever the samples pop up above the parapet (I know I’ve been guilty of it). But on the value front, where economies of scale are king, it is usually the biggest wineries that make some of the best wines. Here we see that ethos in full swing: Stoneleigh is a large production Marlborough label and part of the giant Pernod Ricard business – it’s more a brand, not a winery, with a flashy website and global distribution. Yet out of all that corporate-ness, all the price-point focus comes genuinely appealing, genuinely good wines like this Pinot. What impresses here is that it is exactly what you want in a $20 odd Pinot, with an open, almost lolly red musky fruit nose that is vital and juicy. The palate, too, is generous, avoids obvious residual sweetness and even carries fine light tannins and meaty edges. Sure it’s more about fruit, and more about generosity than Pinosity, but it does drink really quite well given that a casual Google search reveals this can be had for $16/bottle. You know what else? When you dig around the flashy Stoneleigh website, the technical notes on the wines are good too, a nod to some of the cleverness behind the wines. 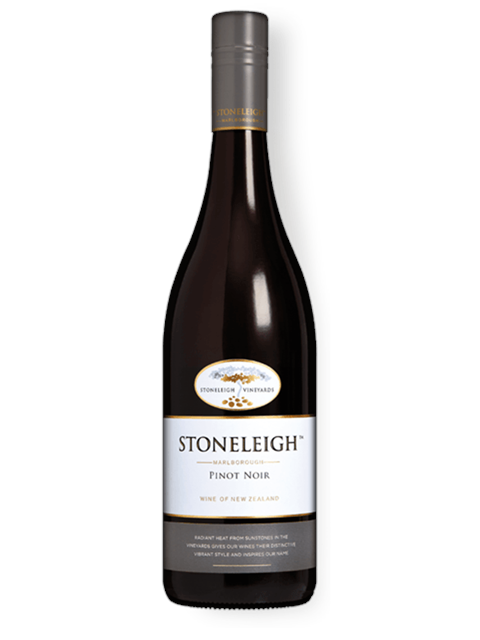 I’ll be first to admit that wines like this don’t typically press my buttons, yet this Stoneleigh Pinot nails its value-for-money remit. Would I buy it? I’d drink a glass.